Pluck your duck in minutes without a feather mess by connecting your lightweight & portable FowlPlucker to a shop vac. 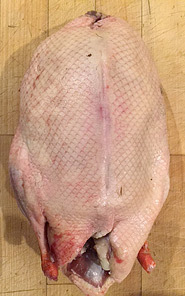 Your plucked duck will have no down nor eye feathers remaining; your bird is oven ready! Our custom made fingers replace ORVIS Duck Plucker fingers. 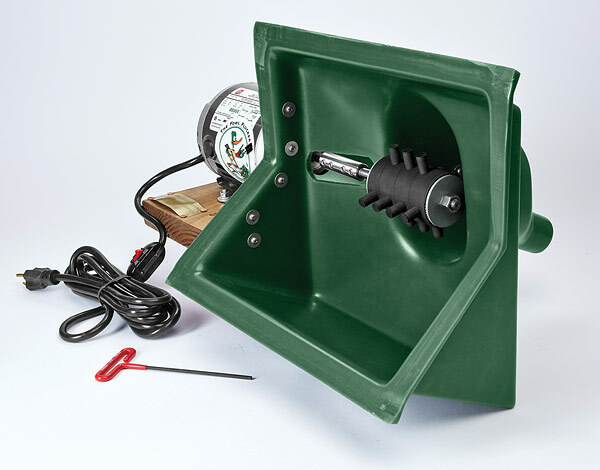 All Fowl Plucker components are sold separately to help you build your own bird plucker. Powered by an Emerson US 1/3 horsepower electric motor with 1725 rpm, 6.4 amp, 115 volt, SF 135, 10′ inline switch cord, auto thermal protection. The enclosed motor is oilless and should last a lifetime or more for home use. The FowlPlucker stainless shaft and coupling are CNC milled creating little vibration and noise. 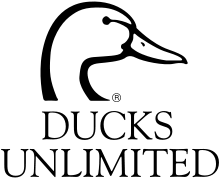 Two mounting bolts with jam nuts are supplied with each plucker. Four anti vibration legs are mounted on each base. The key to complete feather removal is power and torque. Our plucker fingers are unique and the most efficient you will find. Many pluckers are noisy and messy. Our fingers are food grade rubber and will not harm the bird skin at any pressure. The shroud is roto molded from PE (polyethylene plastic) and is tough. 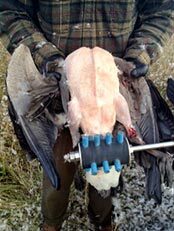 Its design makes for the perfect flow of feathers into the shop vac. In a few minutes you have a beautiful oven ready bird! to honor the bird to your dinner table! Build your own bird plucker with our easy FowlPlucker kit. 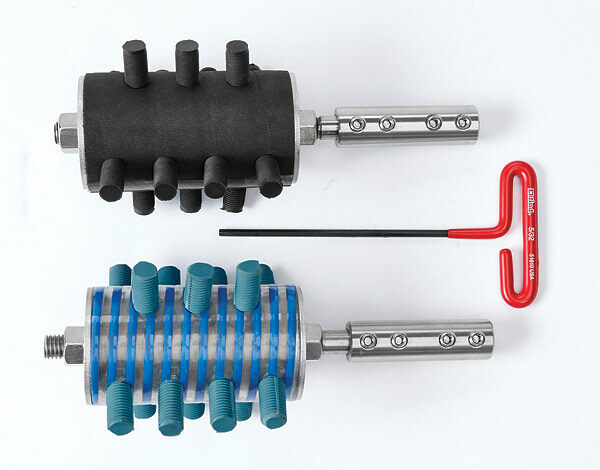 Includes the unique soft rubber fingers installed in head, shaft and 1/2″ motor coupling, all pre-assembled. You supply any motor up to 2hp and we will include the coupler you need. Note: 1725 rpm motor +/- 5% required. All individual components of The FowlPlucker are also available for purchase separately. Please contact us for our personal advice to help you pluck ’em clean and eat ’em with the skin on. A complete DIY kit for tailgate plucking is also available. This package includes the extended bird hitch holder, motor, shaft, head and 2000w inverter, fully assembled for a 5-minute setup. 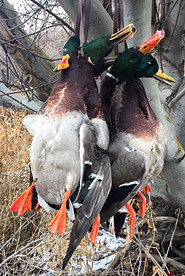 Save hundreds of dollars in local plucking and cleaning fees and on your time schedule. Pick ’em in the bush and feed the coyotes the remains; be careful of wind direction or you’ll look like Big Bird. You can also take your vacuum packer along, plug it into the inverter then find some local freezer space in a restaurant or market. You’ll have more meat to enjoy and give away when you can pluck the whole bird in minutes. No more wasted legs and carcass for making fresh vegetable stock. Bill and I want our birds to have the best care and packaging and you do too! but you’ll own only one Fowl Plucker.